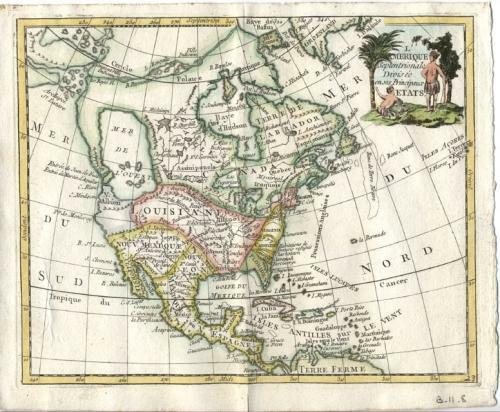 A small French map of North America. The large MER DE L'OUEST and a Northwest Passage are interesting features. Janvier produced a nearly identical map.